Getting married and planning your wedding is going to be one of the most joyful, exciting, and possibly stressful times of your entire life. Weddings are designed for you, your life partner, and friends and family to come together in celebration of your everlasting commitment to one another. Most people want the perfect wedding. They have an idea in their minds and they want it executed with extreme detail and perfection. Most women have been planning their own weddings since they were playing with barbies. While we know planning your wedding may get overwhelming from time to time, we at Thomas’s Catering in Livonia, want to make catering something you never have to be concerned about. Our wedding catering has many options for you to choose from, so you and your guests will have the perfect meal for your perfect day. Our wedding catering will help you achieve the vision you have always had with our experienced and passionate staff. We know you’ll be planning all kinds of things for the big day, but we don’t want you to let catering slip through the cracks. When you begin planning your wedding the first thing you need to do, after saying yes of course, is to figure out the budget. When you and your fiance set a budget, this will help you make all the decisions from the dress to the delicious meals much more easily, and you will less likely be heartbroken when you find something that is three times over your price point. Once you have a set amount, you know to contact businesses’ and services within your means. 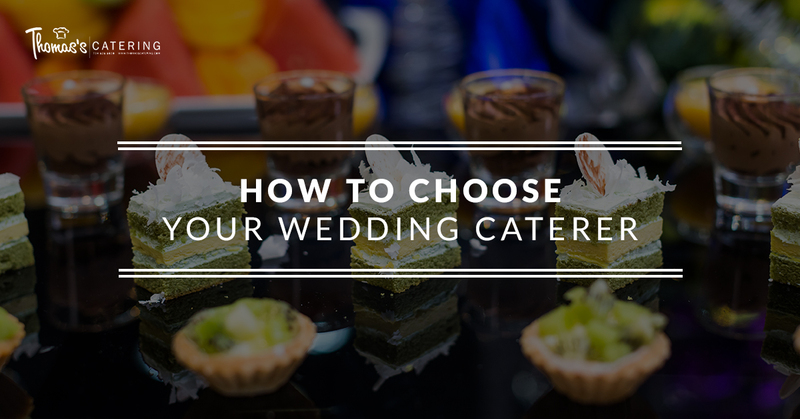 This is equally as important for your wedding catering. You want a budget set for all aspects of your wedding, down to the very last flower center piece. 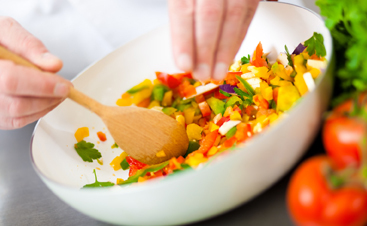 When you have a budget, you will be able to set up a meeting with our catering company and we will be able to discuss what fits and what doesn’t. We want to work with you to give you everything your heart desires for the day, without breaking the bank. If you are not the first to get married in your group of your friends, you have plenty of resources by your side. Ask the ones close to you what they loved about the food at their wedding and what they didn’t. Additionally, find out who they used and if they would recommended them to others. Word of mouth and reputations are huge when it comes to being in the wedding industry. If something went wrong on your friends big day, we’re sure her whole office knows about it. Another option, if you are the lucky first of your lady friend group, is to ask your venue what they suggest or who they partner with. We are well known in Livonia and we love being apart of weddings in the area. Contact us if you have questions, we would love to let you how important your wedding day is to our business. In order to ask these specifics, have a rough estimate of how many people you think will attend. This is especially important if you are planning to do a plated dinner versus a buffet. The great perk of our wedding catering is we give you all the options. 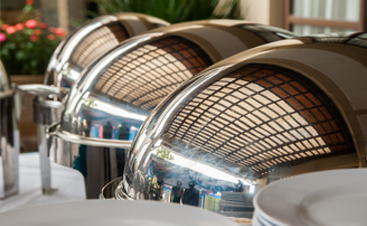 We offer buffet style as well as plated dinners, we also take care of linens and silverware which is another thing you won’t have to worry about. Whenever you do anything involving human interaction, you want to pay attention to how they are responding to your conversation. Even though you may hear rave reviews about a catering company because their food was phenomenal, if their service is poor it ruins the whole experience. Poor client service can destroy a beautiful moment, and we won’t let that happen at Thomas’s Catering in Livonia. When we hire our staff we pay attention to their whole background, including their personality. Even though they may be in the background of your big day, they are still part of making the entire operation go round. If you ever have questions or concerns, we get back to you right away. We know how important it is to know the planning of your wedding is going smoothly, and that’s why we make things a breeze with our wedding catering. Your wedding day should be a spectacular event that you remember for the rest of your life with the love your life. Thomas’s Catering wants to make your day special, and we know how to do that through our delectable food, impeccable service, and professional and courteous staff. 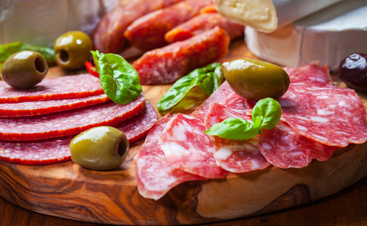 We are here to help create your dream menu of your favorite foods for you and your guests to enjoy. We feel going above and beyond is the only way to ensure your wedding is pure perfection. If you are planning your wedding, please give us a call, we can’t wait to meet you and your fiance!